Exchange a gun for groceries and possibly save a life. Guns for Groceries will be held from 9 a.m. to 2 p.m. Saturday, Nov. 17 at Pilgrim United Church of Christ, 634 Purchase St., New Bedford. 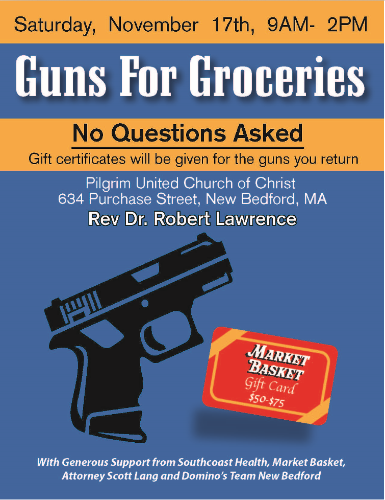 The program will offer Market Basket gift cards and Domino’s pizza coupons for guns, no questions asked. 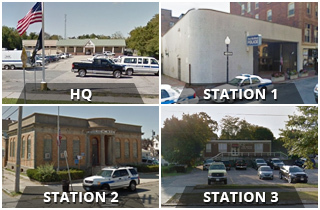 Anyone returning a shotgun or long gun receives a $50 gift card to Market Basket. Handguns returned will earn a $75 gift card, Dominos pizza coupons will be also be distributed.